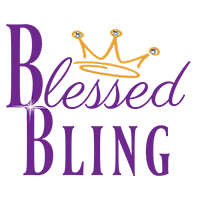 Click here for scripture selections. 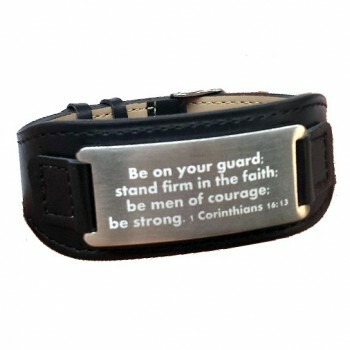 Fashion forward and edgy men’s stainless steel and leather band bracelet features your favorite scripture. Pick from our standard selections or feel free to order the verse of choice. Also, customer may request a different font for verse at no additional cost. 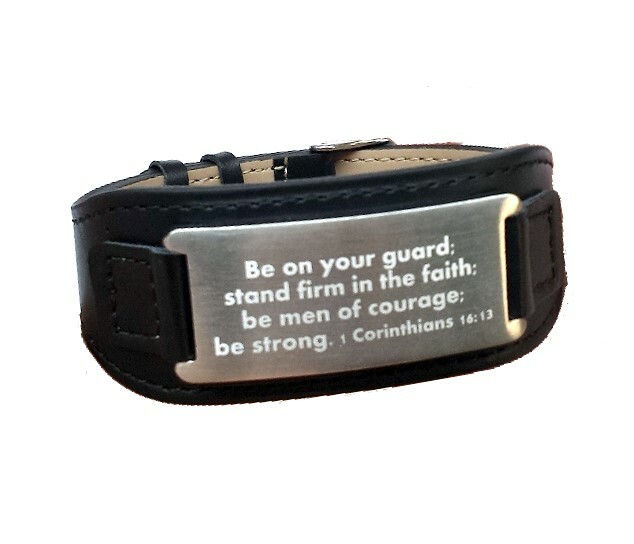 Add a custom verse for $4.00 more. Need faster shipping? Send us an email request at info@blessedbling.com.